Units stack and connect together to form a custom modular system. 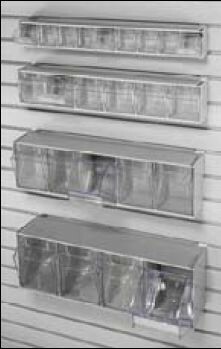 Transparent bins tilt out and stay open while in use. Can be wall mounted or used on countertop. Bins can be easily removed from locking mechanism for cleaning and refilling.